Producing anything that is even remotely related to the Harry Potter universe is a guaranteed money-maker, from theme parks to scarves, from screenplays to jellybeans. Creating a prequel of sorts and setting up a schedule to release one every two years is a no-brainer, Rowling & Co. set to make mega-millions more than the mega-millions they’ve already raked in. It’s no guarantee of the quality of the side projects of course, but that hardly matters; audiences will come to the theatre in droves to see whatever new piece of the puzzle the creators of one the richest fantasy worlds ever imagined have decided to tease them with next. I’ve read the books, I’ve seen the movies, I’m a fan, so don’t count on me to criticize the story or the money made thereon, but also don’t expect me to blindly enjoy anything they decide to label with an ‘HP’. In fact, I didn’t enjoy this film at all, thought it was an extremely weak attempt all around, and would not put much faith in the other impending four being much better. Newt Scamander, the young man with the weird, amphibian name, the young man who wants to save all God’s creatures great and small. Actually, I don’t know if he believes in God, do wizards go in for that sort of thing? But Newt loves all Earth’s creations anyway, valuing the life of all animals, be they lovely or dangerous. He is much like Hagrid in that mindset, not caring if something could possible kill or eat him, interested only in their safety and happiness. Newt has amassed quite the collection of animals, not in order to set up a maniacal menagerie, but rather to release them into their proper environment, after he has cared for them and seen them fully prepared for life outside his magic suitcase, a bag that is so much more than it appears. He keeps his zoo with him wherever he goes, and can enter into a giant realm of varying ecosystems at a moment’s notice to lovingly treat the injured, displaced, and afraid. Sounds like a great guy, and so he is, but his obsession with creatures has blinded him to the safety of humans. On a trip to New York from London in order, so he says, to purchase a rare species, Newt stumbles into a dangerous situation that his expertise may make him the perfect hero for, but that his odd case might make him the simple suspect of. A deadly force has been terrorizing the city, and the local government thinks that Newt’s animals might be to blame. A failed agent named Tina takes him into custody, only to find herself mixed up in whatever the bloody hell is going on. 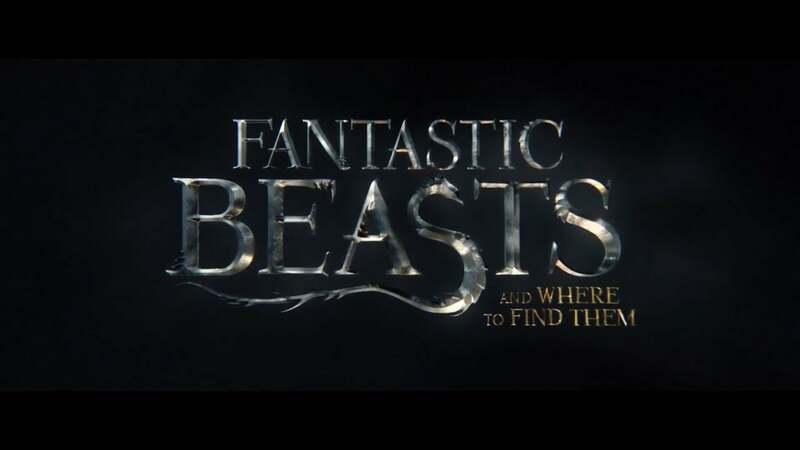 Along with her sister and a confused Muggle, Newt and Tina must find the true culprit behind the attacks, capture it if they can, and at the same time find all the relatively harmless animals who really have escaped from Scamander’s case before they cause any real damage. I don’t begrudge money-maker movies, even when it’s obvious, because we’re the audiences, we can choose not to see them, we don’t have to pay for a product that we can be fairly sure is tricking us into watching. Create a universe, have a hit, and you’re pretty much set for life, because we are always game for another venture into a fantastic world that caught our attention before. So I don’t blame J.K. for writing this screenplay, for expanding on our knowledge of the wizarding world, for taking our cash with a smile on her face. But I do wish that she had been a bit more inventive with her story, something that was obviously made without that same magical fabric as Harry Potter. It felt underdeveloped, like a plot thought of on a whim, and it never harnessed the power of the films that have come before, never convinced me that I should judge it solely on its own merit. And if I had done, if I was able to step completely away, I think I’d be even harsher than I intent to be here. Because, aside for Eddie Redmayne, who is a treasure, the only positives to this movie are the cool creatures and impressive computer images. I like this universe, I wanted to see more, I got that and some really awesome visuals to boot, but, other than that and apart from Redmayne, almost everything else I can think of was lackluster. The plot was silly, with an ending that took three seconds to think up and one minute of screen time. The actors were third-rate, other than Colin Ferrell, who I respect immensely but who was given absolutely nothing to work with here. Actual, there was an actress who stood out, but for all the wrong reasons, and that was Katherine Waterston. She was completely lifeless, an awful heroine, and someone I hope to never see again. She was bad in Inherent Vice, she’ll be bad in Alien: Covenant, and I wish she hadn’t had a place in this film. Nothing about Fantastic Beasts seemed well thought out or well thought through, almost as if it was made for money alone without a care whether it was actually necessary to produce. Video – With an aspect ratio of 2.40:1 (1080p HD 16×9) and using an Arri Alexa XT Studio camera with Panavision E- and G-Series lenses, the video quality of the film is top notch, there won’t be any disappointment there. The incredible array of computer animation on display was breathtaking, as was each and every one of Scamander’s creatures, done with such an eye to detail and description. 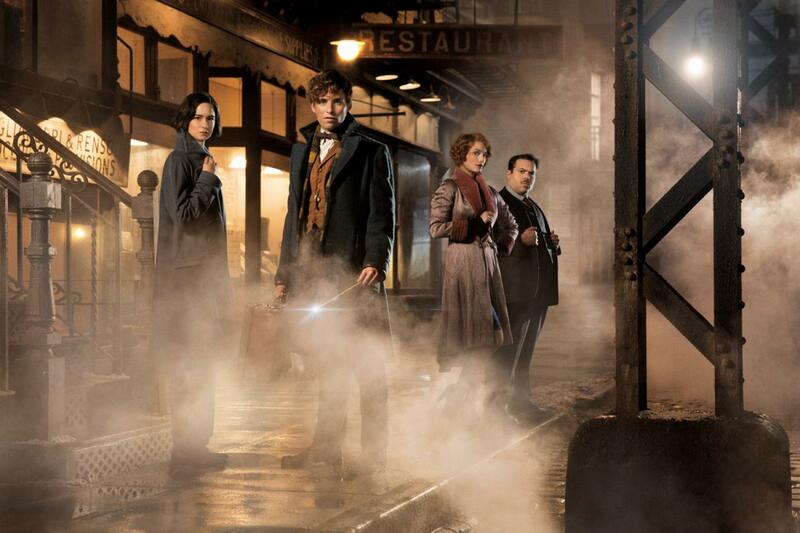 The sets were brilliant, from NYC to the underground magical world, from inside Newt’s case to inside Tina’s apartment. Care was placed on the visuals, that’s for sure, and you can feel Harry’s world coming through very strongly. Audio – The Blu-ray was done in Dolby Atmos English, with an option of DTS-HA Master Audio English 5.1, English Descriptive Audio 5.1, Dolby Digital French 5.1, Spanish 5.1, and Portuguese. Subtitles can be selected in English SDH, French, Spanish, and Portuguese. The audio quality of the film receives high marks as well, both for its explosive sound effects and for its use of the theme music we’ve grown to enjoy coming out of this universe. I always find the balance between dialogue and effects to be a bit action-heavy on Blu-rays, but that’s something most audience members have grown accustomed to. Extras – There are a ton of special features on the Blu-ray disc, if you can’t get enough of this colossal creation. Before Harry Potter: A New Era of Magic Begins! is a 15-minute behind-the-scenes and interviews segment. Characters is a collection of five character studies. Creatures is seven fascinating creature reports. Design is six featurettes focused on bringing the film to life. And there are eleven Deleted Scenes brought together for your enjoyment. Rent It. 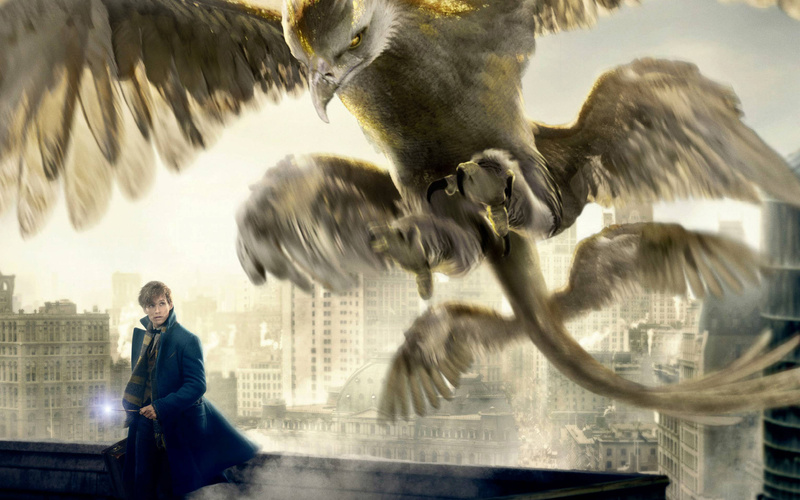 Judged as a bit of history from the world of Harry Potter, Fantastic Beasts should charm fans and ignite the old flames that appeared after reading the first books, or watching the first films. It’s dessert to a starving fan, something many will gobble up, and I don’t blame them. Beautiful scenes, stunning graphics, imaginative artistic; there is much to enjoy here. But I can’t help also judge this story as its own feature, and in that way it failed. The story was not well-written, the dialogue was not sharp, there are moments when I wondered why on Earth that just happened, and the entire project feels a little forced. It’s a vehicle for the franchise, a way to make money, and I don’t blame it for that, but I also can’t only rave about its visuals, I need to mention its content as well, and that just wasn’t strong enough. The video is wonderful, the audio solid, there are many extras, so the technical aspects of the project won’t let you down. 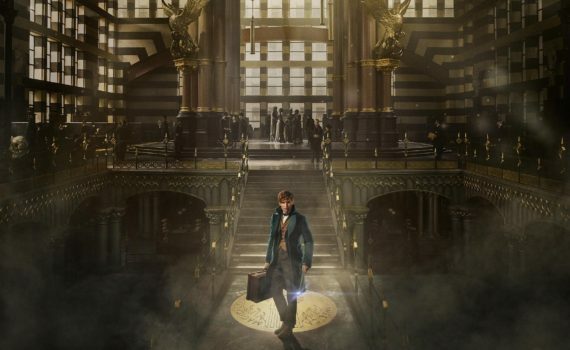 Just don’t expect Lord of the Rings, or even Sorcerer’s Stone, because Fantastic Beasts doesn’t have the same heart and won’t leave the same impression.